Published: Oct. 9, 2014 at 10:09 a.m. 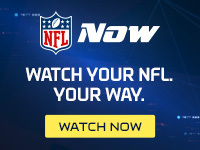 Updated: Oct. 10, 2014 at 01:37 a.m.
A muscle specialist who has been working with Carson Palmer says the Arizona Cardinals' troublesome shoulder nerve has "woken up." Now, the question is if it stays that way. Greg Roskopf, the founder and CEO of Muscle Activation Techniques, made "significant progress" during a weekend of treatment on Palmer, who has been out since Week 2 with the nerve issue. There was enough improvement to allow 40 to 50 passes on Tuesday. Palmer had no setbacks and threw more during Cardinals practice on Wednesday. How Palmer reacts to that latest session will go a long way in determining if he returns to action when the Cardinals host the Washington Redskins on Sunday. "I just have to be able to throw a ball," Palmer said, according to ESPN.com. "Let loose and throw it hard. That's basically it." Roskopf said the breakthrough in treatment came when he used a palpation technique to stimulate sensory receptors in Palmer's shoulder. The technique re-ignited the nerve. Roskopf cautioned that Palmer could suffer another setback if he pushes too hard. "It's a very delicate line," Roskopf said. "If he exceeds his tolerance level at the time, then it almost puts it back to sleep. It shuts it down again." Palmer's chance of returning Sunday remains very much up in the air. Solely based off Roskopf's comments, it sounds as if the Cardinals might be better off keeping things on the slow track to help ensure Palmer doesn't overexert himself. If Palmer continues to sit, Drew Stanton (currently in concussion protocol) or Logan Thomas will start against the 1-4 Redskins.